What a week, what a week! Overall, it was another good one. However, there were a couple of trying days in the mix. After a somewhat busy weekend (pizza night (in), Lincoln Park Zoo, hanging out with my cousin who came to visit, my fantasy football draft, etc. ), we spent most of Tuesday hanging out at home. Vishnu took the day off and watched Kaiden while I got a haircut. Nothing too dramatic. Just shorter! And just to clarify, he didn’t take the day off so I could get a haircut. Haha. The rest of the week was good with the exception of one day where I just didn’t have my act together (blog post to come soon!). This weekend should be a low key one. Vishnu’s working a 24 hour shift on Saturday, so it’ll just be me and K. Thea’s going to come over and hang out. We may or may not have brunch plans…Nookies…chilaquiles…need I say more! 🙂 Other than that, I hope to squeeze in some reading (for pleasure), clean out my closet, and do some MIS brainstorming. Fun times! We got an Instant Pot! I’ve only used it once so far…to make rice. I hope to experiment more soon and share some delicious creations. When Vishnu went grocery shopping last week, he picked up a little surprise for me. 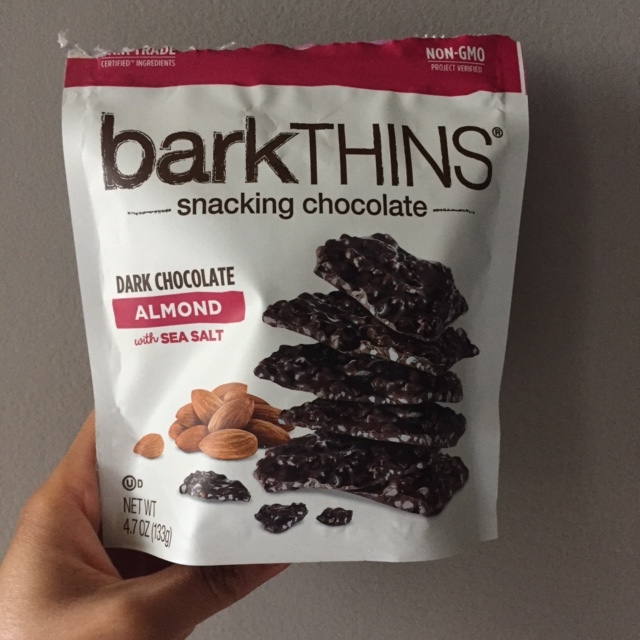 Have you guys tried the Bark Thins snacking chocolate? Umm…so I told Vishnu to never surprise me with this again. I have no self-control and this is way too good for someone like me to have just sitting around the house. Ha! We recently (as in two days ago) transitioned Kaiden to Baby Merlin’s Magic Sleepsuit. This thing is a little ridiculous as it resembles a space suit, but ridiculous or not, it’s working so far. I have a blog post in the works about K’s swaddle transition over the past couple of months. This is something I wish I’d known more about earlier on. 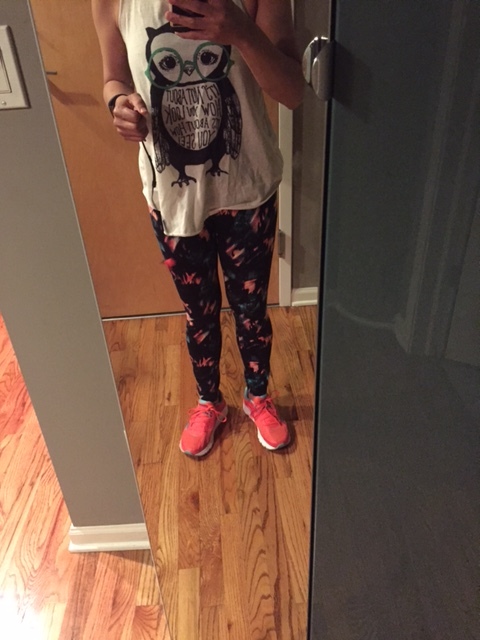 And finally, I bought a couple of pairs of workout leggings on Costco.com. This is worth sharing because they are fantastic. I love the fit, the pattern, the fact that they stay in place around the waist (you’d be surprised! ), and the price…ONLY $16.99! If you’re a Costco member, I highly recommend trying these out. Ok, so enough rambling from me. Here are some of favorite links from the week! Who says vegetarian food has to be boring?! Keeping up with the Joneses. Totally agree that we need to draw the line somewhere. Some of these literally had me LOLing! Yes to all of these. I need to print these out and put on my fridge and even my desk at work. I’m guilty of not having any set morning rituals. After reading this article, I’m changing that. Remember, it doesn’t have to be complicated. This was dinner yesterday. SO FREAKING GOOD. A must make…and so easy too! Sleep is key for strong interpersonal relationships. The supporting research is super interesting. P.S. For those of you in Hurricane Irma’s path, please be safe! Sending as many positive vibes as I can muster. I love our Instant Pot! I’ve used it for steel cut oats and a few other recipes that I will e-mail you. Thanks, Hani! I got your recipes…will try them out soon. And please send any others you like my way! those chocolate barks are really really addictive!! hope you have a wonderful weekend. Omg those Bark Thins are SO GOOD! That dark chocolate + almond is my favorite combo but the pretzel one is good, too! Ohh…I will definitely have to check that one out. So good!